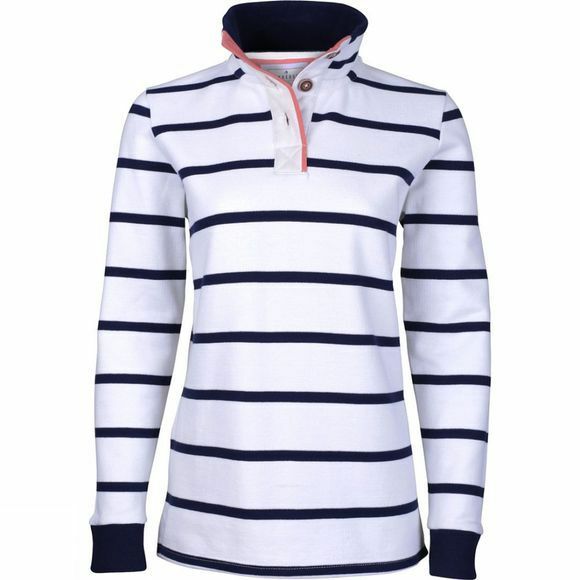 Brakeburn's Ladies Stripe Pique Button Up is a timeless classic rugby style updated with modern styling. Featuring long sleeves and ribbed collar, hem and cuff. A classic fit, perfect for beating the evening chill in Spring/Summer. Made from 100% cotton Finished with embroidered bird logo and hidden embroidered Brakeburn signature on collar.